MGI constantly tries to provide a vast array of services to its community, especially low-income families. Low-income housing has always been a challenge everywhere; however, MGI is fighting to make it a priority. In March of 2009, MGI formed a partnership with HUD and the City of Hawthorne to manage a 7-unit, multifamily apartment building on 12501 Kornblum Avenue. MGI continues its quest to manage and provide affordable housing throughout the community. Need additional funding for food? Check out these flyers from CalFresh & the LA County DPSS! Unfortunately, not all families can afford to buy their children new school uniforms every year. The Hawthorne School District has a "Uniform Drive" where families are asked to donate new and used school uniforms that are in good condition. MGI sets up a uniform bank where needy parents and children can come and pick out school uniforms. The small gift of providing clean clothing that fits can make a big difference in a child’s life. The Housing Rights Center is the merged organization of the Westside Fair Housing Council and the Fair Housing Council of San Gabriel Valley. The purpose of the Housing Rights Center is to actively support and promote freedom of residence through education, advocacy, and litigation, to the end that all persons have the opportunity to secure the housing they desire and can afford, without regard to their race, color, religion, gender, sexual orientation, national origin, familial status, marital status, disability, ancestry, age, source of income or other characteristics protected by law. 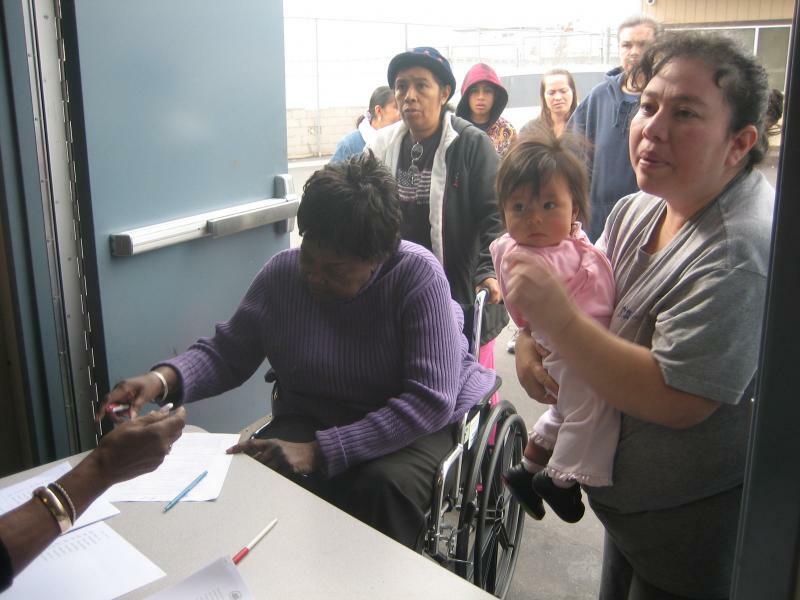 The Housing Rights Center provides a wide array of programs and services free of charge. For Housing Rights Center information, click here! empowerment groups. The recently formed Hawthorne Neighborhood Association (HNA) was developed to address the needs and concerns of residents so their voices are heard at the local, state, and national levels. The HNA Members reside in the City of Hawthorne and meet on a monthly basis to create and plan actions to target housing concerns, increased drug use and sales, and gang activity. internships, and work study awards at MGI. and educate clients on their rights and responsibilities. For more information about Community Advocacy, click here. For more information about Community Education, click here. For more information about our Outreach programs, click here. For more information about our Health & Dignity centers, click here.